In business the customer is the mission. In newsell strategy, uncheck is the time spent out of contact with the customer. Check is the time spent in contact with the customer. Outside of business the individual still has to be clear about what is his equivalent mission. What must he stay in contact with? If not the customer, what? For example, in theoretical physics, the mission is the universe. The physicist must stay in contact with the universe and not take his eye off the ball. I suppose admin etc, for a theoretical physicist, is uncheck quicksand if it takes your eye of the universe. For a CEO admin etc can be uncheck quicksand, too. One CEO, in a high-profile Australian business, has taken her eye off the customer ball in the last year. She’s a really gifted CEO and was providing strong customer value in 2014-2016. Customers rewarded her leadership and the business was flourishing. Then in 2017 she started doing roadshows, not for customers, but for analysts and brokers. She spent the last year chasing her share price tail. Classic mistake. Someone should have tied her to the mast. But the Martin Collins sirens have sucked her in and her leaderless employees and customers have been abandoning ship like passengers and crew on the Costa Condordia. Yes, it happens all the time but it’s still a sad thing to see. In business, for a CEO, uncheck is quicksand. Stephen Hawking has died peacefully at home at the age of 76. 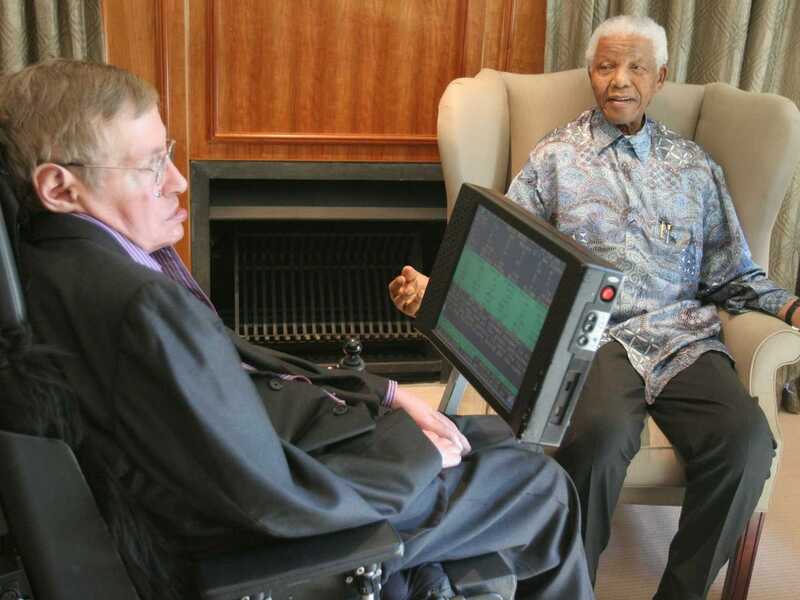 The world-renowned physicist was told he would only have two years to live when diagnosed motor neuron disease, aged 21. Some 55 years later, it is safe to say he defied the odds and helped transform the way scientists view black holes and the universe. 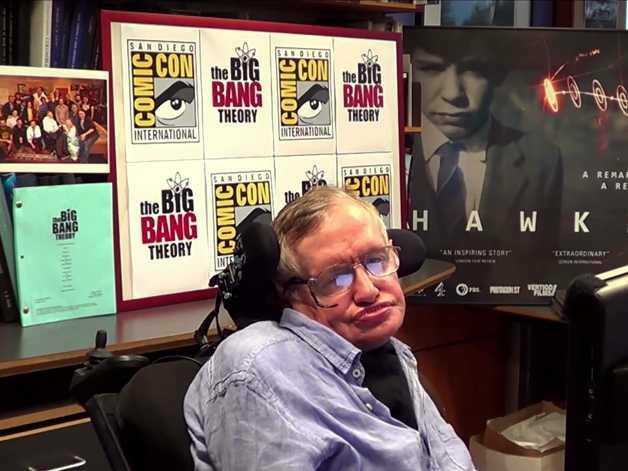 As well his contribution to science, Hawking was a philosopher of sorts, a powerful political voice, and had an acerbic wit. These 15 quotes show Hawking’s approach to science and to life in general – and take you inside the mind of a genius. To illustrate that there is AWAYS an alternative way of doing things, in my masterclasses I sometimes ask members to give me their ‘recipe for boiling water’. It sometimes may seem there could be only one way but–we always do get a range of recipes and ALWAYS some are better than others. Ron Says: Recipe for boiled water. First, find a house that has a water spout, either one of your own or a rented one (house I mean). Get you a 3 quart saucepan. Stick it under the water faucet and turn on cold water. Using cold water gives you more flavor and takes a little longer to cook. Put it on the stove, any kind will do, even an open fire if you do not have a stove. Be careful to not overstir cause you might knock out the sides or bottom of your pan. One thing about boiled water is that you dont need any fancy spices or flavorings to make it taste right, just use it right out of the pan. Dont forget to turn on the fire under the pan. Cook long enough to suit yourself. If you like it hotter,let it boil alittle longer. 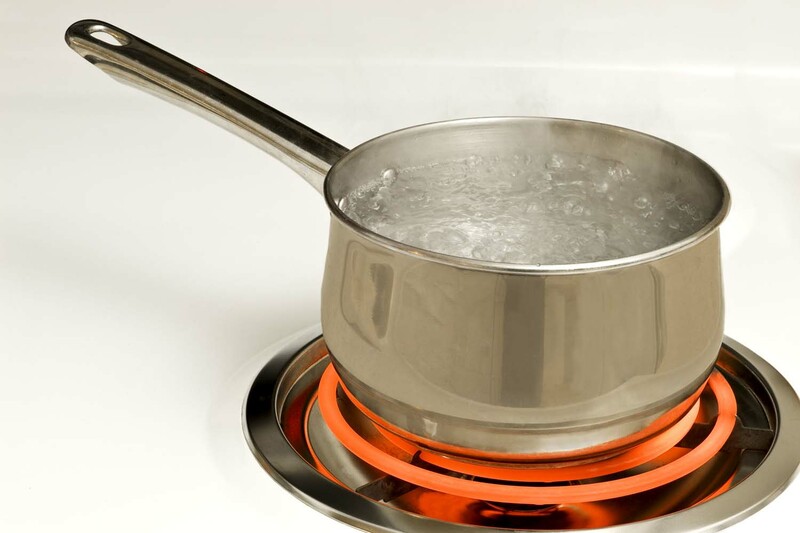 Steam isnt good to use as boiling water, whatever you do, dont get interested in something else and forget your water. If you do it will evaporate into steam and you will have to start all over. Dont let it burn either, that is the MAIN thing…. Nancy Says: I wonder how close a container of water would have to get to the sun to reach boiling point…? Jess Says: When craving some boiled eggs, just give in and have some boiled water left over. Paul Says: First put the kettle on , then Google “ways to boil water”! Gardena Says: if you were to bring science in the kitchen then my recipe would be 4 balloons filled with Hydrogen gas and 2 Oxygen balloons filled with gas. source of heat: add 2 jars Oxygen to 4 jars of Hydrogen gas in one jar at room temperature and tightly cover the jar. ensure there is no escape of gas. heat the mixture to boil at 100 degrees C. if you need it hot then that is it. Sam says: Build a parabolic trough. Buy a sheet of lightweight material 900mm wide, ideally about a meter long. Cover it in foil. Suspend it at the 900 mm ends so it dips 100mm and forms a natural parabola under gravity. The ends will now be 800mm apart. Position a heat conductive pipe full of water at the focal point mid way between the 800 mm distant sides. Now you have a parabolic trough water heater. Position in the sun for around 1kw of energy of intake, about 700W reflected on a sunny day. Then wait. Michael Says: First you need some water. Then you need some heat. Then you need enough time to heat the water to boiling point. 3- open the bonnet of yr car – any make – but preferable a second hand Renault 21 – you’ll learn why! 6- water is ready for cooking vegs (potatoes, bananas, karrots etc), eggs and meat for lunch in town. 1. What quantity of boiled water is required? 2. When is this boiled water required? 3. Who is ordering the boiled water? 4. What is the price for this job? Is it an open tender? 5. Where is this boiled water required to be delivered to? 6. Can the boiled water be delivered cold or must it be still boiling? 7. If cold boiled water is sufficient is there any requirement (minimum or maximum) for time lapse between time boiled and delivery time? 8. What is the purpose for the boiled water? 9. Who are the end-users of this boiled water? 10. Are there any Health & Safety Laws which we need to comply with or be aware of? There are a number of other questions which we shall need to deal with, but in the meantime this should provide sufficient information to enable my lawyer to draw up costs. Are you happy to share legal costs? Michael says: Cool some steam. Barry Wah Lee says: For a really special pot of water, use one of those Kangshu herbal tea pots.Often water boiled in kettles has the scale and metallic flavour.By the way, it is particularly disgusting to taste water boiled in a teflon pot! Run the tap till you get a fresh tasting sample of water, and fill up the pot. You can use fire from sticks, a gas hob on the top of your stove, but not one of those induction hobs.Not unless maybe you put magnetisable metal into the water,but then you would compromise the flavour profile. You do not need a lot of heat on this Kangshu Clay pot. It builds up whatever little heat you give it, and with time, it will boil. Trouble is, it stays hot as long as you add even a little external energy, so do please remove the pot once you have reached 100 degrees celsius noted by a rolling boil sound in the pot. Leave the pot on too long and you will end up with a dried out and heat cracked pot. You will have to buy another one. Unless you are extremely cute and give someone like me doe-y eyes. But I will not fall for that again. NO. Water boiled this way will make for the finest water for adding to your top shelf tea leaves.In my case I have been drinking clove buds and Cassia bark tea. Evie says: Too funny…but teaching English as a second language I quite frequently have to explain boiling water so I pretend the water’ hot by sticking my finger into the glass and yanking it out with a painfully burned yelp and matching expression on my face. How could it be easier? Develop a high temp, low energy use, safety secured, quick recovery water heater, set the thermostat to the desired temperature required to produce boiling water – approximately 100 degrees celsius and turn on the tap…enjoy! DFQ: So, what is YOUR recipe for boiled water?